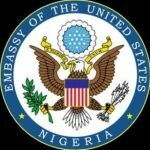 AS THE 2019 PRESIDENTIAL ELECTION IN NIGERIA DRAWS NEAR, UNITED STATES GOVERNMENT HAVE RAISED THE ALARM THAT BASED ON THE INTELLIGENCE REPORT IN THEIR POSSESSION, there is an increase in ISIS propaganda videos specifically directed to Nigeria and the ongoing civil unrest in Borno state and the Northeast. Shedding more lights into the havoc, a press statement on United States Embassy website some hours ago states that ISIS West Africa (ISWA) and Boko Haram have both stated they plan to disrupt the upcoming 2019 presidential elections by conducting attacks on Nigerian Security and infrastructure, as well as places of gathering such as markets, hotels, and malls. Review the Travel Advisory for Nigeria.